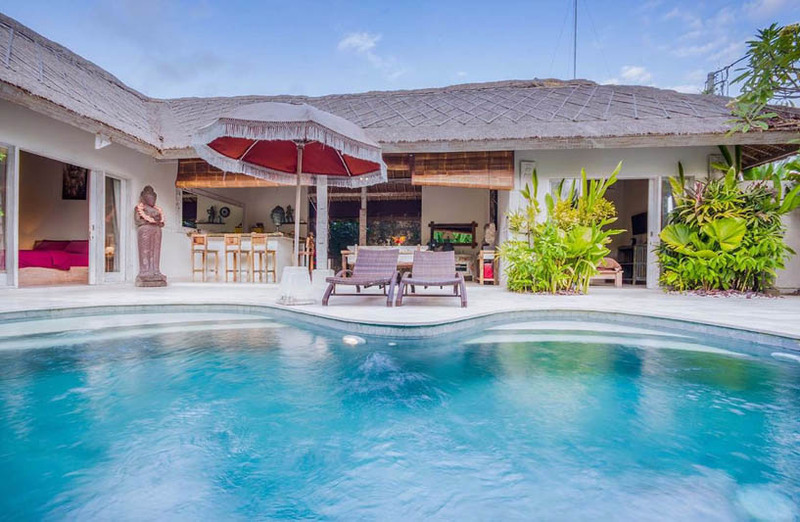 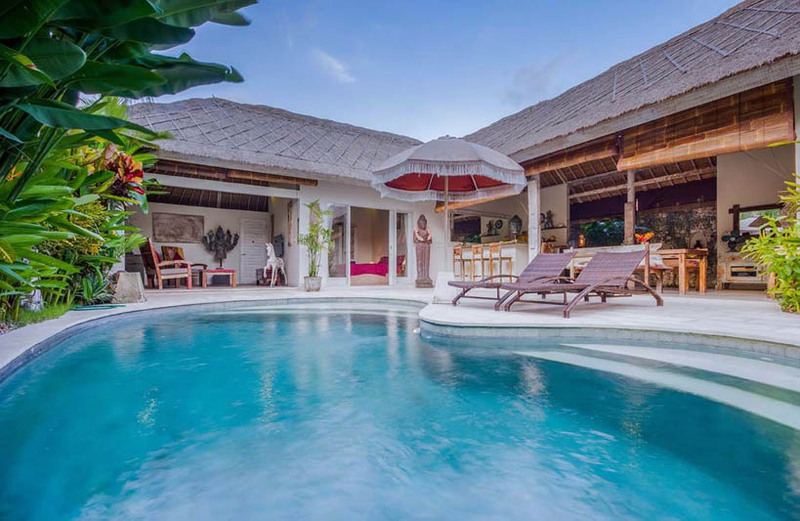 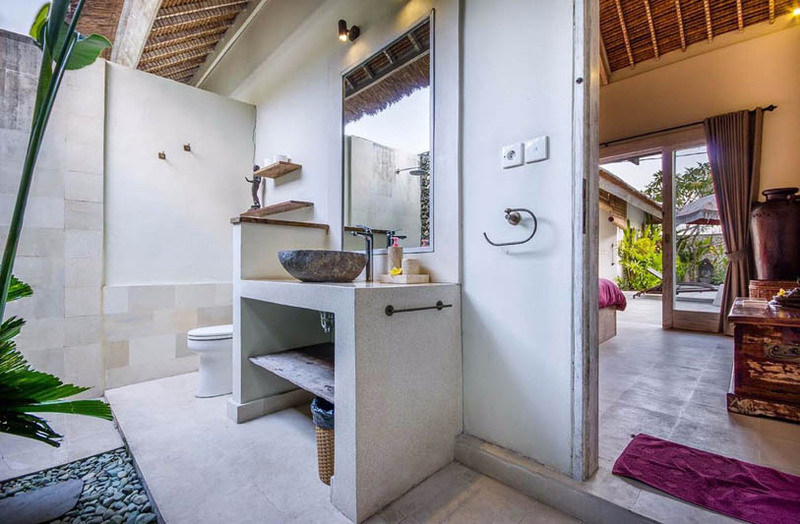 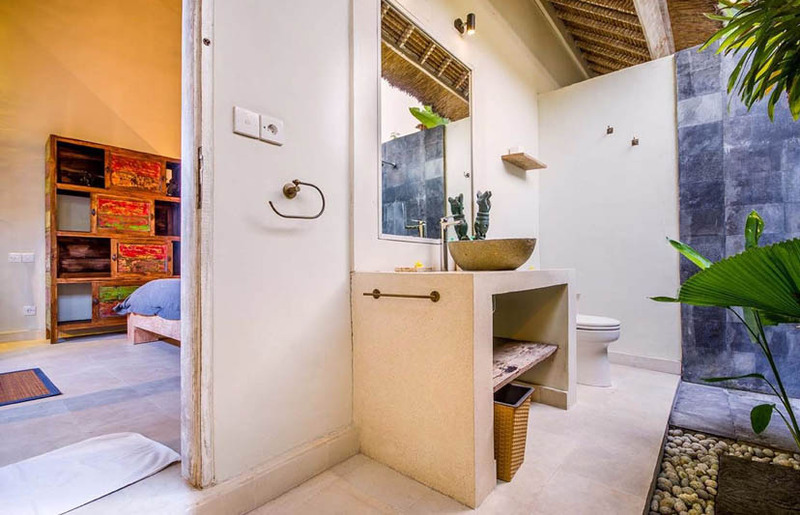 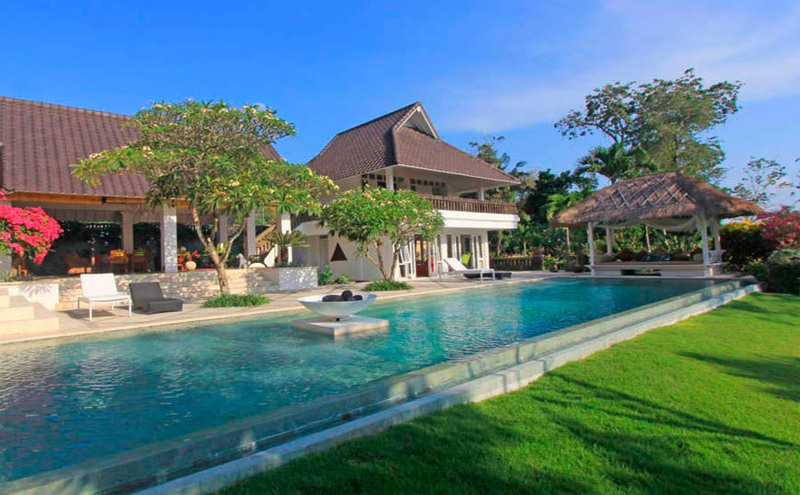 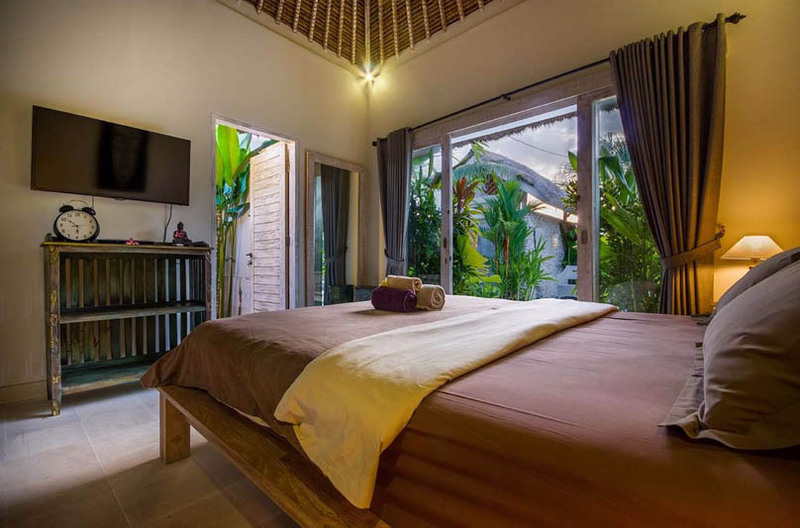 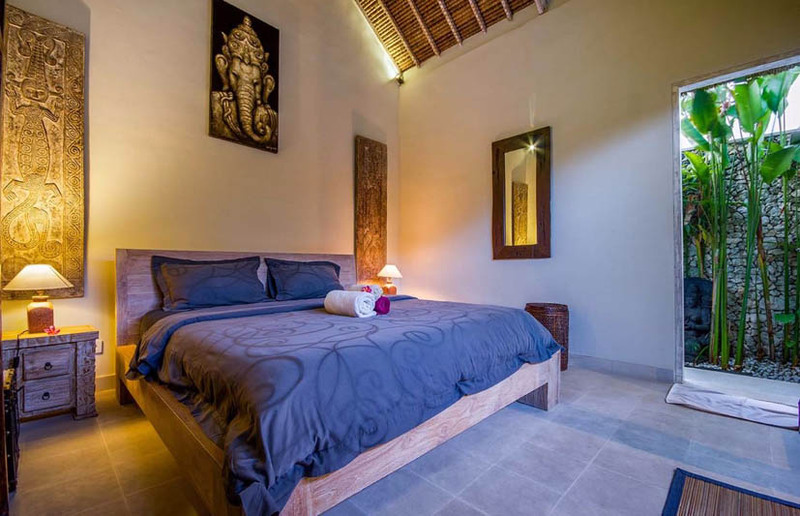 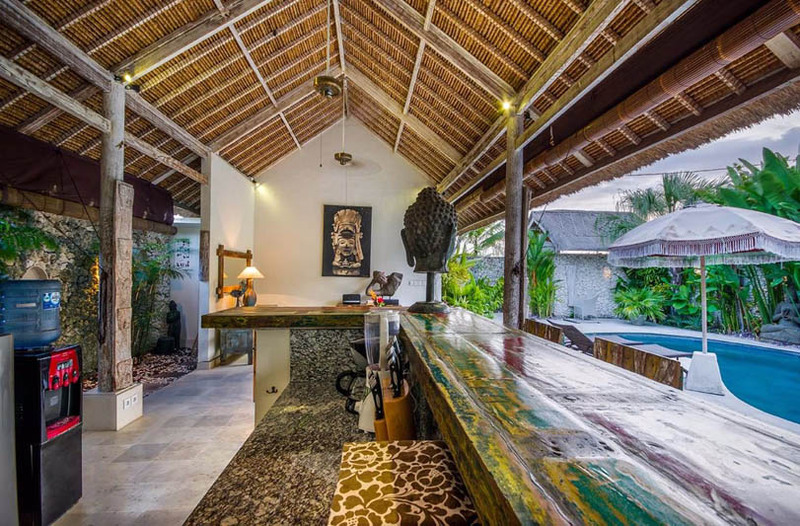 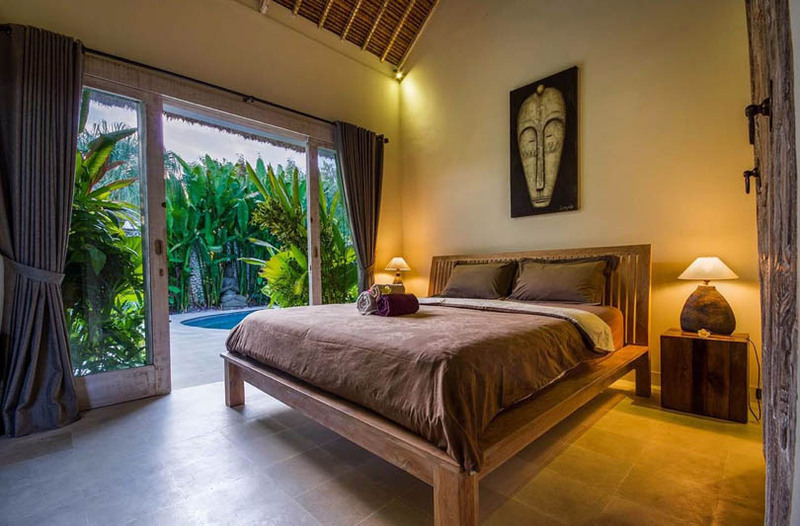 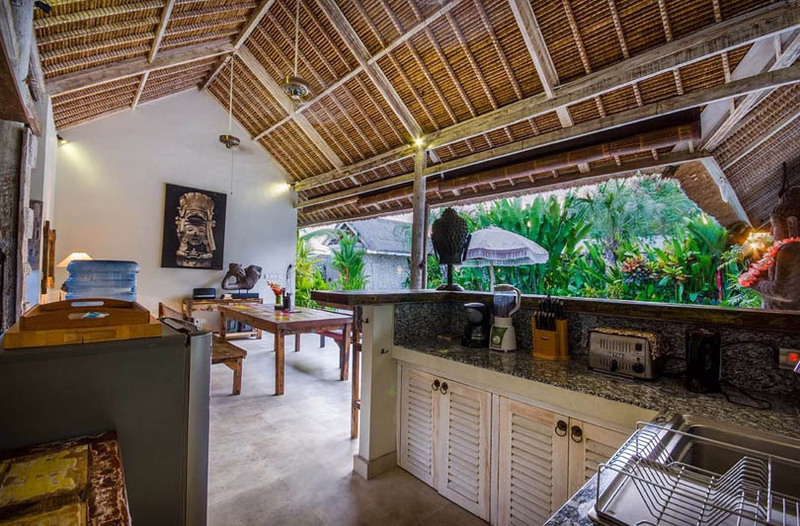 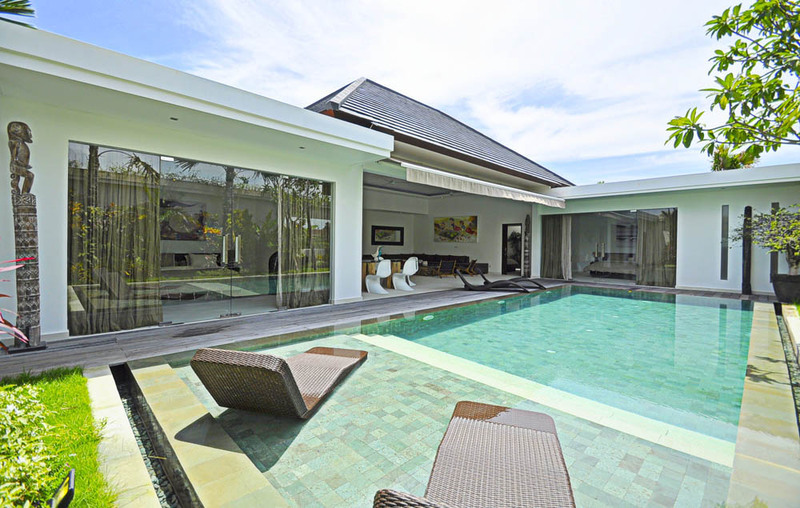 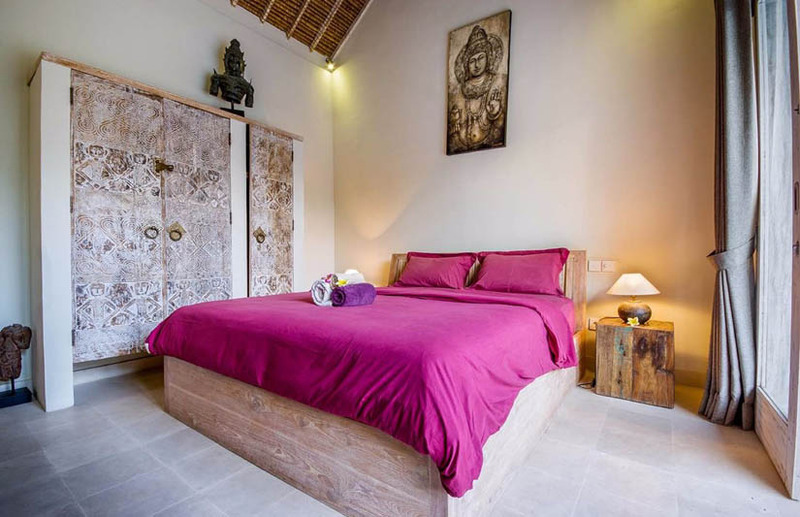 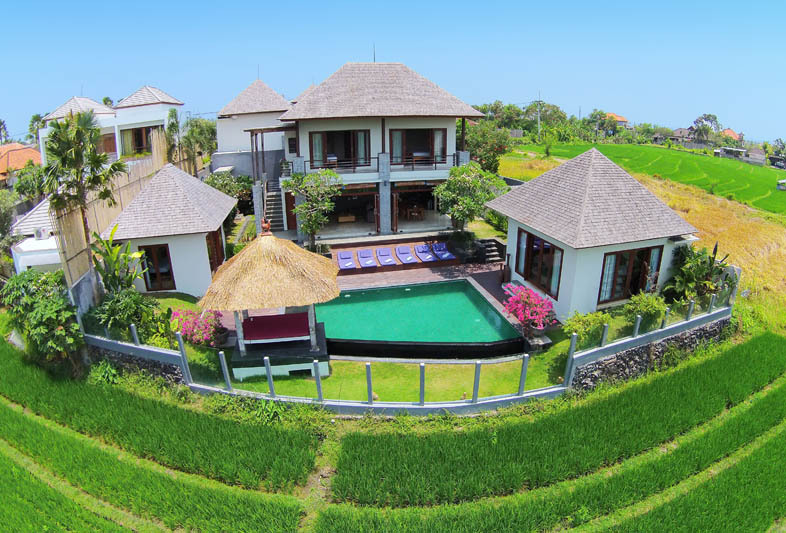 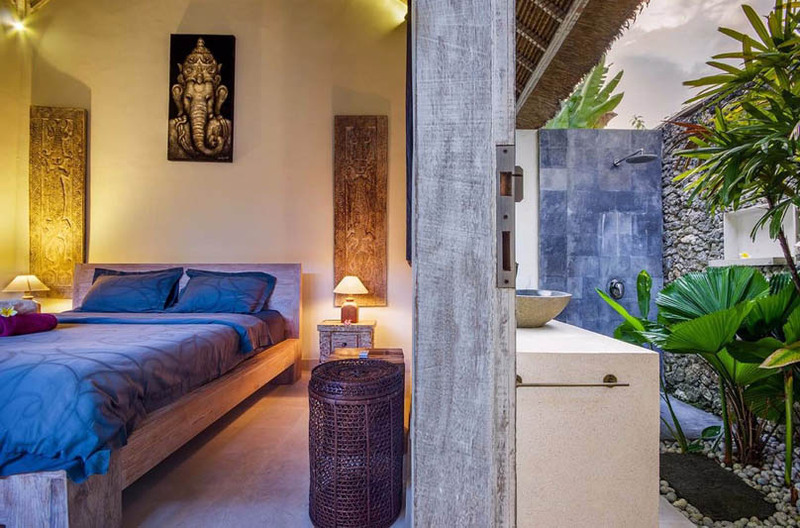 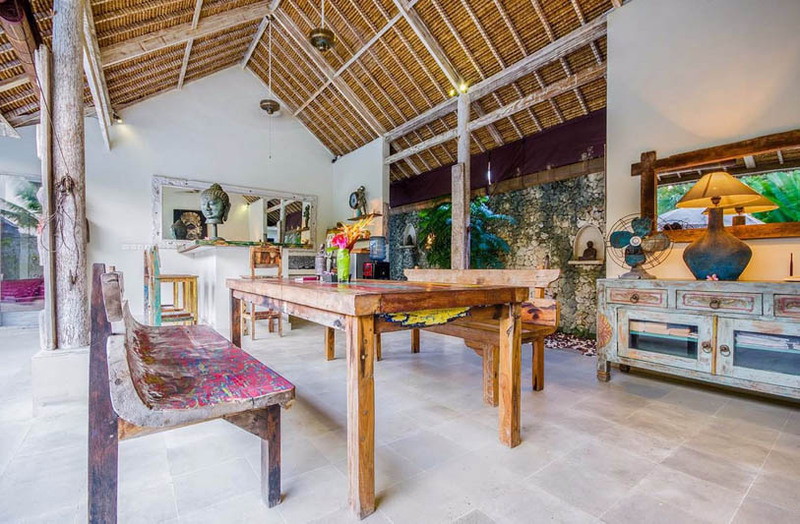 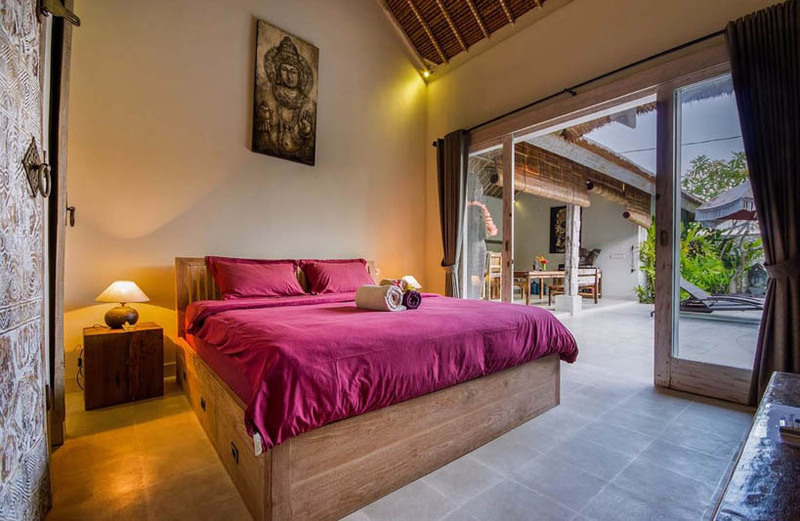 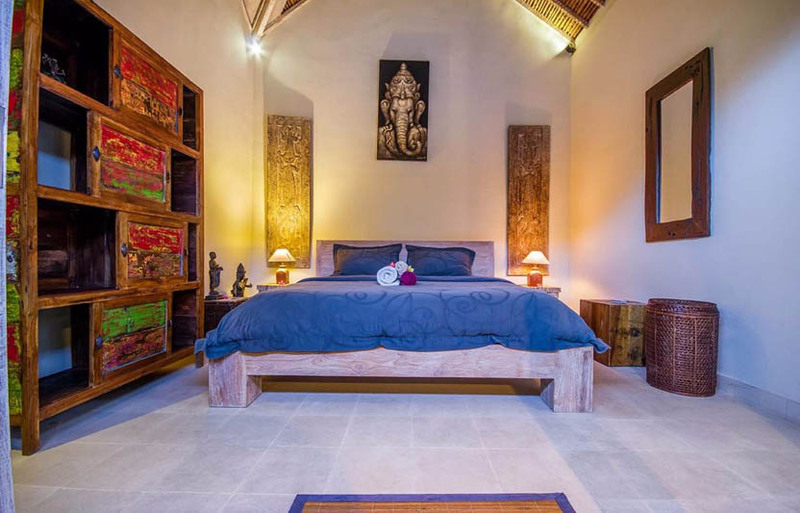 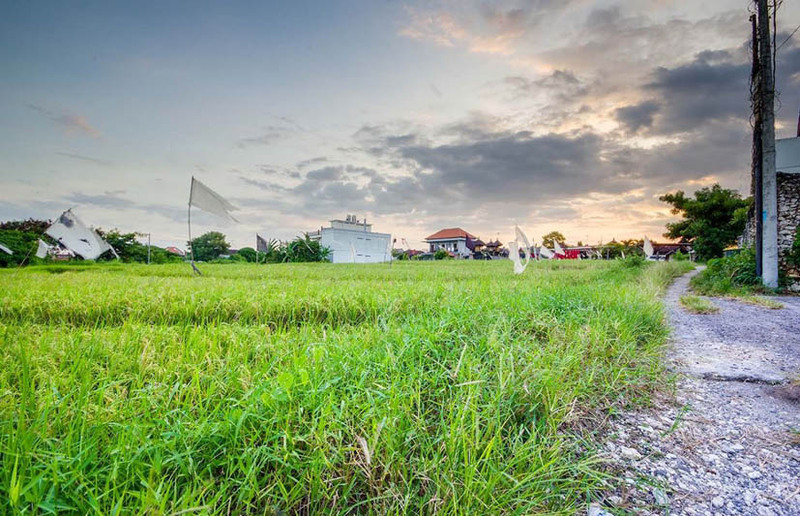 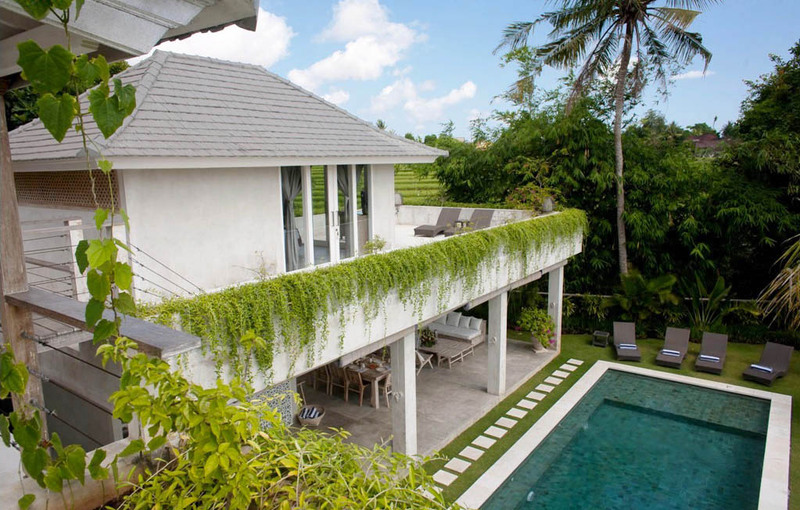 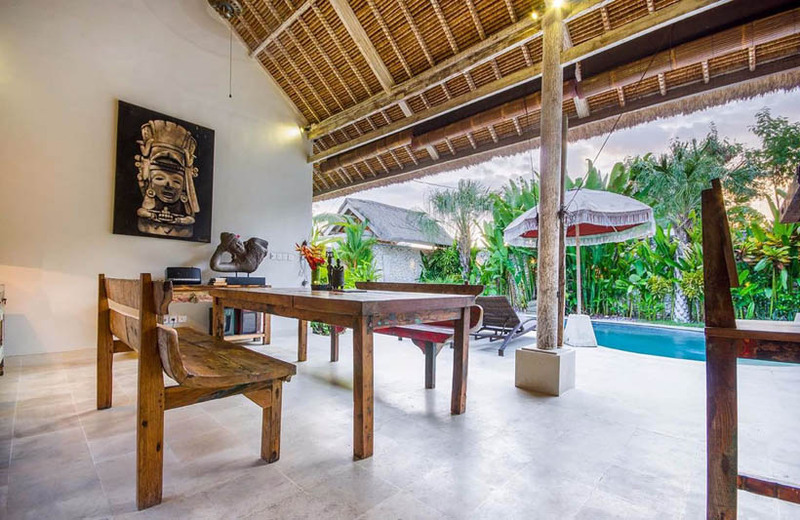 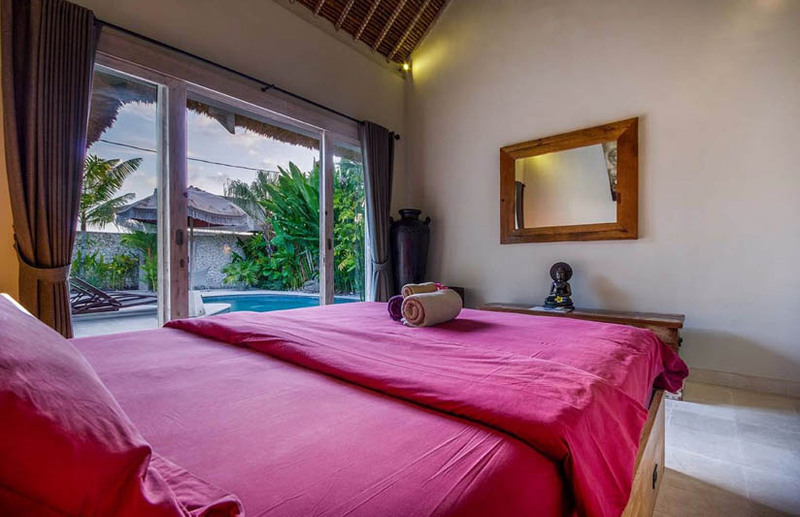 This wonderful villa Alam Canggu is located in the heart of Canggu, next to Canggu Beach. 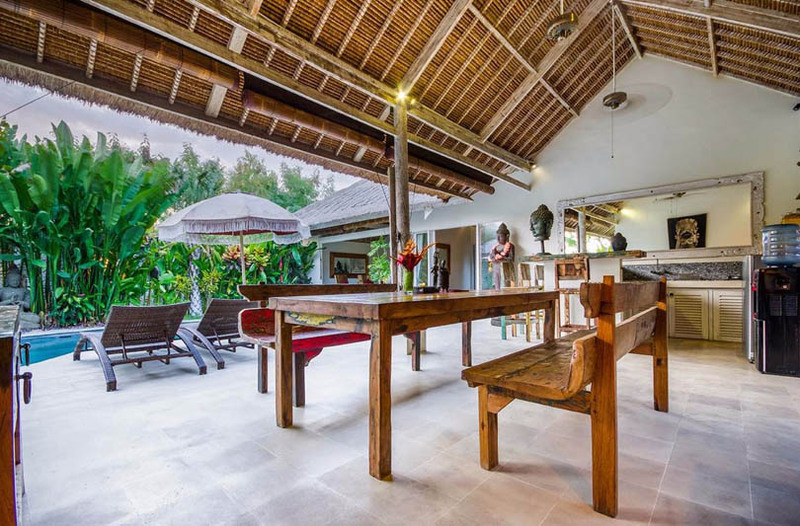 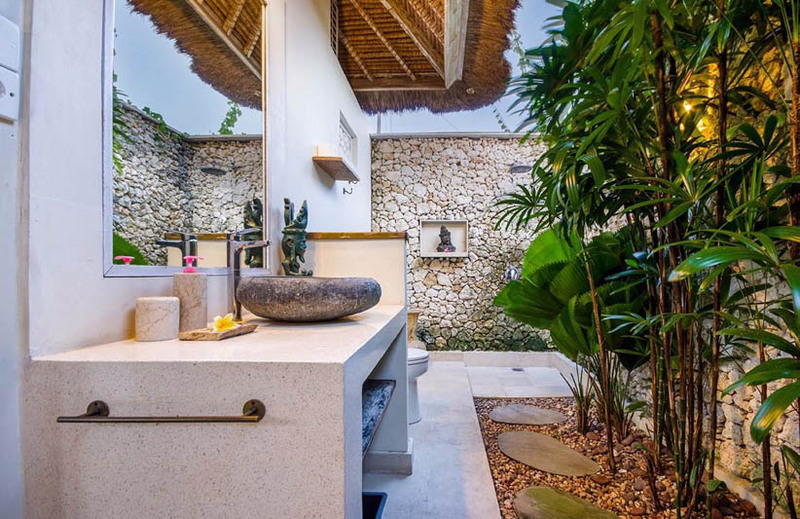 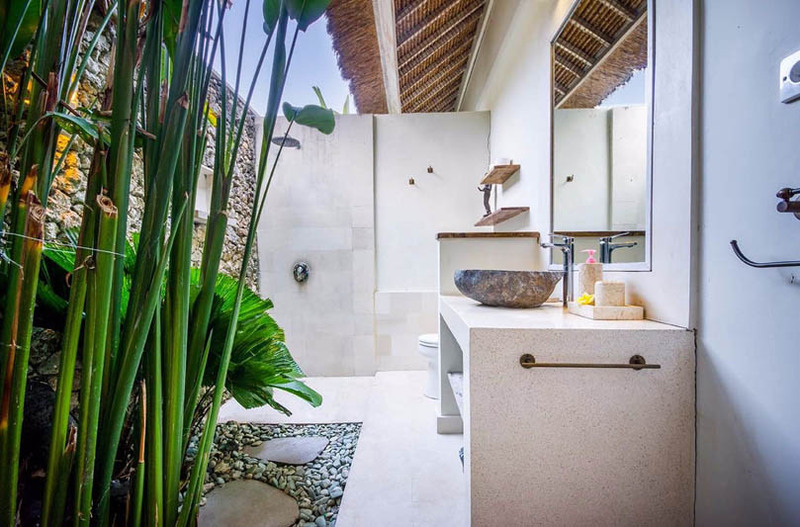 This home combines serenity and sweetness in this beautiful country of BALI. 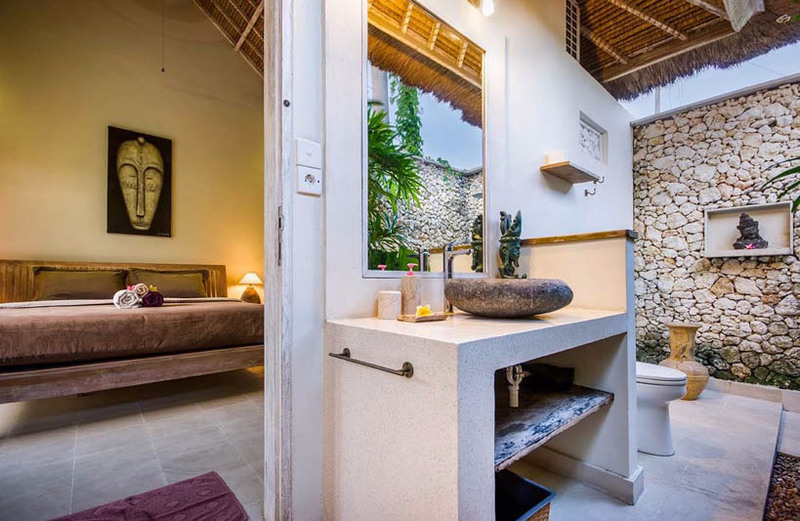 There are three bedrooms and three private bathrooms and another bathroom for guests. 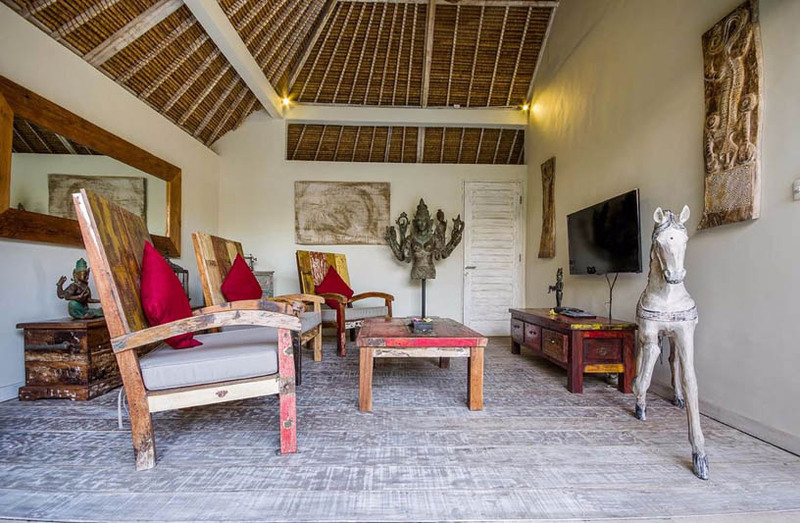 It also has two bedrooms with TV and satellite cable and a third with a DVD player, a spacious kitchen to enjoy good food around a rustic table open to the terrace. 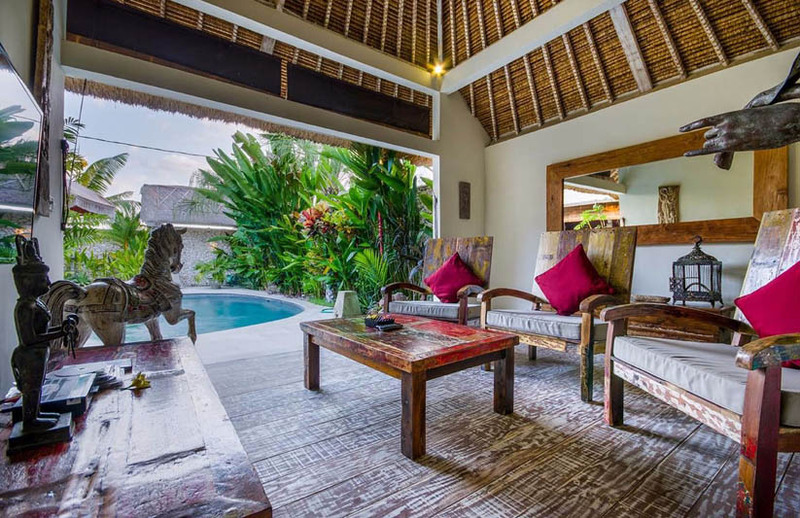 The living area of â��â��the villa is located in front of the pool, even accessible from the terrace, it has a TV and three armchairs and a traditional wooden table. 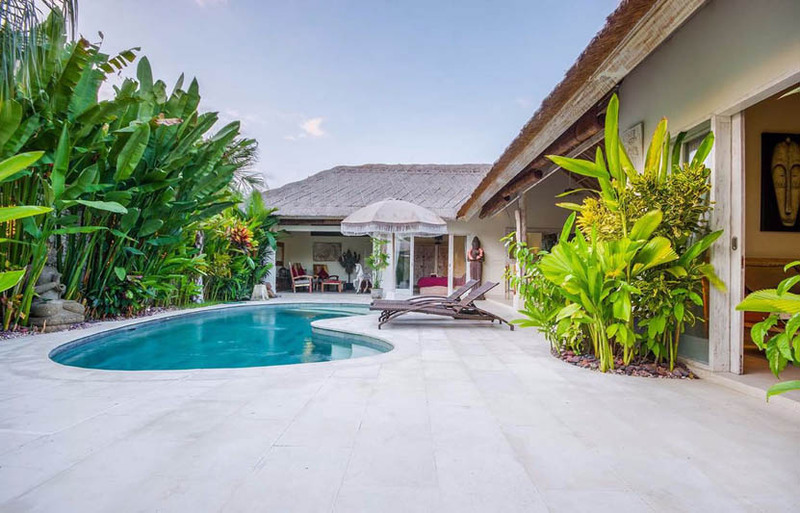 With a splendid sunny terrace overlooking the pool with an outdoor shower surrounded by beautiful palm trees, flowers and green plants. 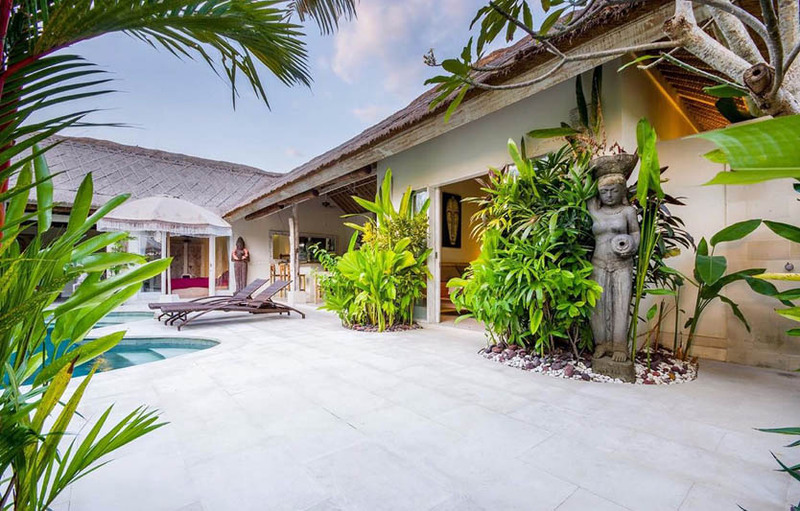 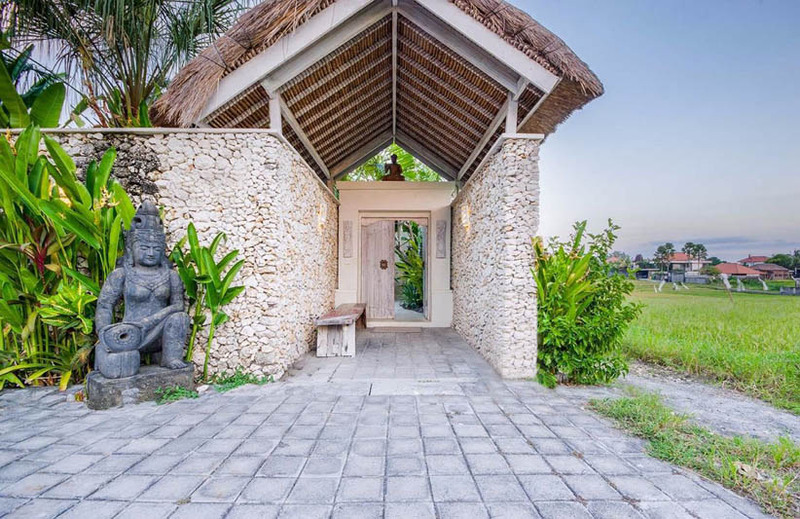 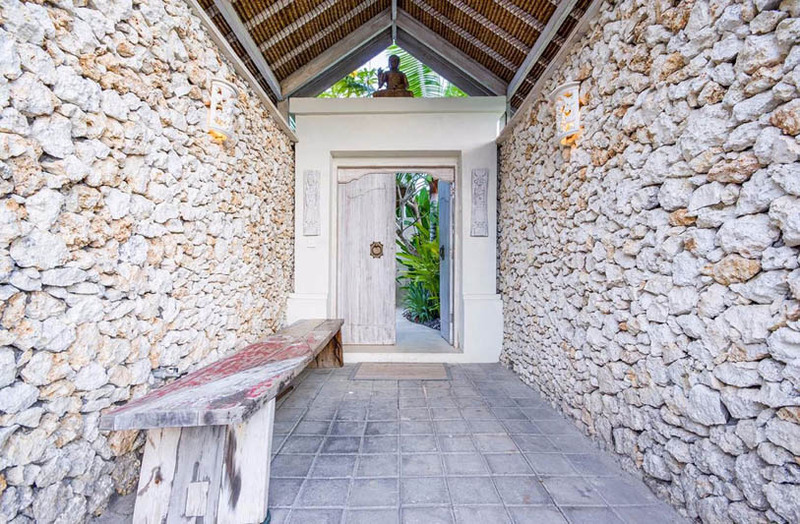 This villa has kept its Balinese charm with its statutes of Buddha that expresses the awakening of the spirit. 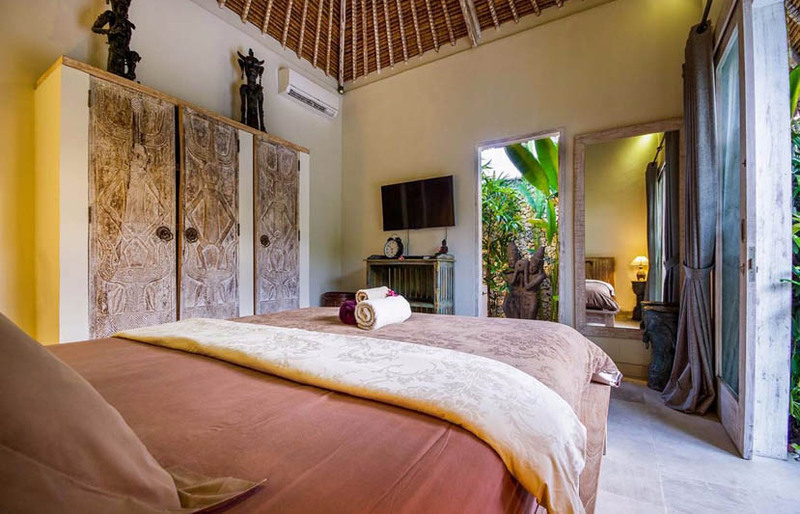 This house has a very strong emotion to keep you calm and tranquillity during your stay in Bali with family or friends. 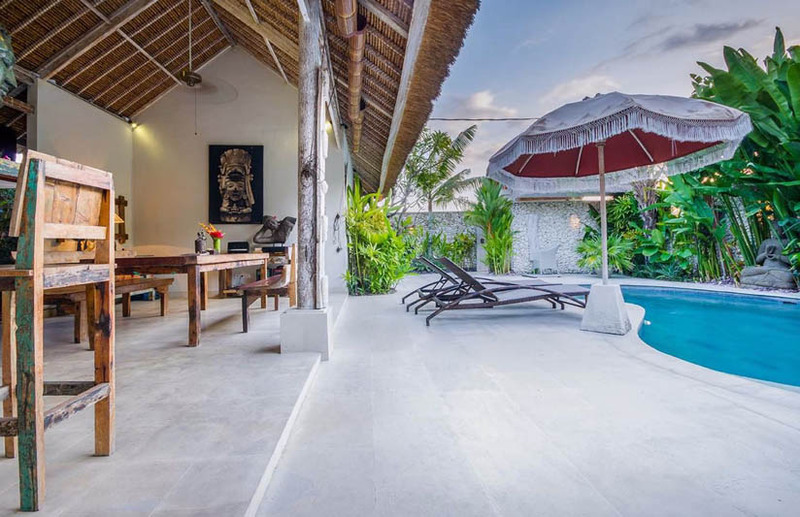 You have at your disposal two staff available every day for maintenance of the house and finally they will answer all your requests. 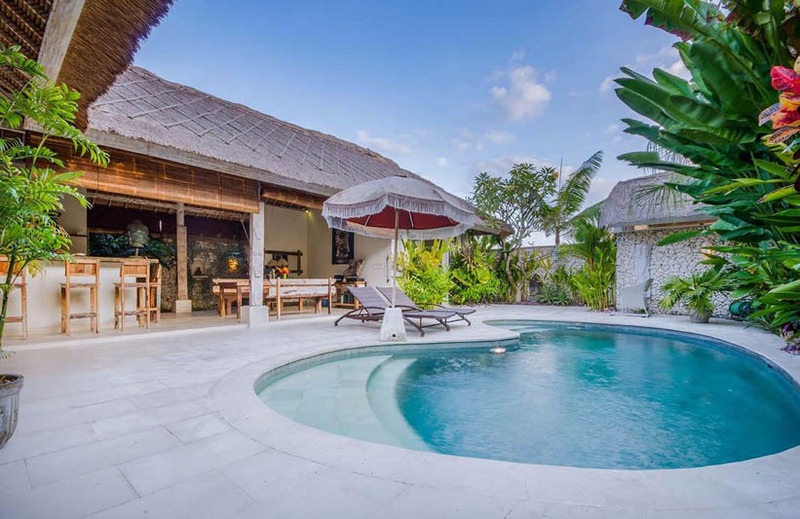 Do not hesitate to contact the agency Bali Je Tâ��aime for further information, you will not be disappointed!